Our latest customer reviews. You can use the drop downboxes to look up reviews for a particular product or category like candles or hand cream. I was delighted with my recent purchases outstanding products equally matched by the value for money they offer. I am totally hooked on the lemongrass and rosemary fragrance it makes me smile every time I enter the room and or use the products. Highly recommend. The most amazing perfume that lingers on your skin long after you have washed...like delicious lemon sherbet crystals . I bought a box set of this scent - diffuser, room mist and hand wash.
What a fabulous scent - first discovered at the Ideal Home Show a few years ago. This is now a staple in my home and I couldn't recommend more..
Buy it - you won't be disappointed! This cream is amazing! 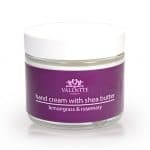 It smells gorgeous and is really good quality, being moisturising but not greasy. Will definitely be getting more in the future! Great gift, nicely presented and it’s really good that you have the option to mix n match. Love the hand cream, so thought I would treat my Mother to a gift box as part of her birthday present. She loves the fragrance and can’t wait to try some others, what a bargain! I am now going to purchase more as birthday gifts as they are so gorgeous. Having been given a sample at The Ideal Home Exhibition I had to order some as it is the most beautiful hand cream. Smells and feels amazing! Wonderful gift for friends, purchased 2 gift boxes and both delighted. 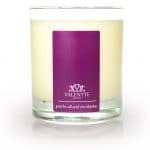 Beautiful fragrance and very good value - highly recommend. 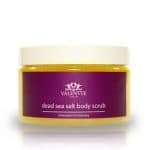 One small free sample of this has inspired purchases of 8 pots and the recipients are now also placing more orders. It's lush! First bought Valentine reed diffusers at the Ideal Home Exhibition. So impressed with the product that I made a further order on line. Excellent customer service. I will definitely order again from Valentine. The mix and match box is such a good idea - chose three different scents for my daughter-in-law. Came beautifully packaged - gives it a luxurious feel, and I know the items inside are equally so. A lovely smell for our living room. 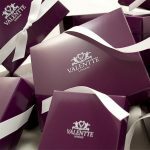 Tried Valentte first time and am very happy woth my order. Thank you. Smell divine and it lingers. Rich cream that leaves your hands soft and fragrant. The smell is divine and it looks so good. So I'll keep this one and buy one as a gift. Great value for money and beautiful products! I’ve loved these home fragrances since first being bought a gift box at Harrogate Flower Show for my birthday. I now have diffusers and candles all over the house and bought gift boxes as presents. Better than air fresheners and they last so long. Discovered these products at the ideal home show in London and fell in love immediately. The lemongrass and rosemary reed diffuser smells amazing and I've had so many compliments from visitors to my home. Great value for money too. I love these products' natural lasting scent.They are beautifully packaged and make excellent presents for those that like their home to smell lovely.The gift box is extremely good value and a great treat for yourself too. What more can be said that hasn't already been said about all these amazing products. The presentation is lovely and the smells are all just gorgeous and very long lasting. Highly recommended by all my friends when given as gifts. Who have all since purchased more. I won’t buy any other diffusers now as they do not compare to Valentte. The smell is natural, strong enough to scent the room but not over power and lasts until empty. Try it, you will not be disappointed. I am absolutely delighted with my gift box. I bought the lemongrass and rosemary scent and it is gorgeous without being overpowering. The candle lasts a lot longer than other similarly priced candles too I am just about to buy another 2 boxes this time - one for me (again) and one for a present. I bought this as a present. It was packaged very well and I didn’t need to do anything with it but hand it over. Lovely! I absolutely love this hand cream. It has a lovely relaxing smell and makes my hands feel soft after use. I have only recently discovered Valentte, through Facebook I think and I am so glad that I have. The lotion is beautifully rich but not greasy and smells bright and fresh. Importantly for me as a cancer survivor it has no parabens or other nasties and is cruelty free and organic wherever possible. When my modest order arrived the packaging was top class really excellent presentation and to my surprise had three fragrance samples and a free reed diffuser! I was so impressed that I placed an order as a birthday present but wanted to make sure that the invoice wasn't included so I rang up. I spoke to an extremely helpful man (Andy?) who assured my the invoice wouldn't be included. We then had a pleasant chat about how the company was growing and how it started marketing the products. Top service Valentte, I wish you every success.